EPOC THEORY | "Excess post-exercise oxygen consumption"
EPOC is the amount of oxygen required to restore your body to its normal, resting level of metabolic function (called homeostasis). It also explains how your body can continue to burn calories long after you’ve finished your workout. Circuit Training and heavy resistance training with short rest intervals can lead to a significant EPOC effect. High-Intensity Interval Training (HIIT) is the most effective way to stimulate the EPOC effect. EPOC is influenced by the intensity, not the duration of exercise. Good posture is good health. It is as important as eating right, exercising, getting a good night's sleep. 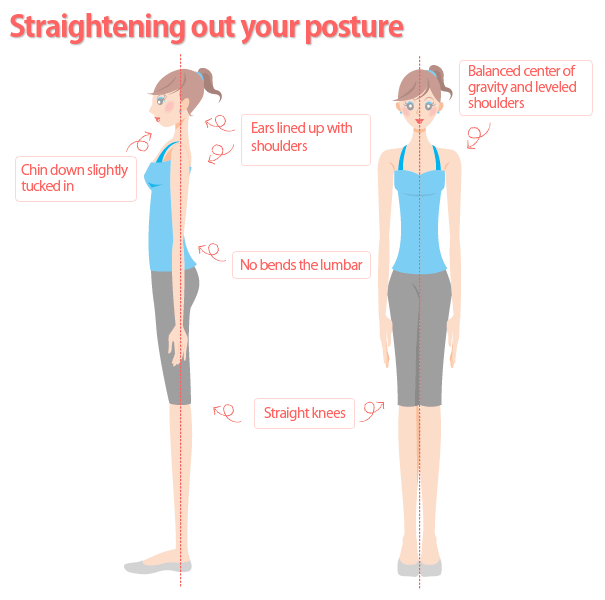 Good posture is a way of doing things with more energy, less stress and fatigue. Without good posture, you can't really be physically fit. Your spine is strong and stable when you practice healthy posture. But when you slouch or stoop, your muscles and ligaments strain to keep you balanced — which can lead to back pain, headaches and other problems. Keep your weight down - excess weight, especially around the middle, pulls on the back, weakening stomach muscles. Develop a regular program of exercise - regular exercise keeps you flexible and helps tone your muscles to support proper posture. Buy good bedding - a firm mattress will support the spine and help maintain the same shape as a person with good upright posture. Pay attention to injuries from bumps, falls and jars - injuries in youth may cause growth abnormalities or postural adaptations to the injury or pain that can show up later in life. Have your eyes examined - a vision problem can affect the way you carry yourself as well as cause eyestrain. Be conscious of where you work - is your chair high enough to fit your desk? Do you need a footrest to keep pressure off your legs? Straighten Up and Stay Healthy! We hope you haved enjoyed our 6 week Video Series. Let us know what topics you would love more videos and information on for the future!